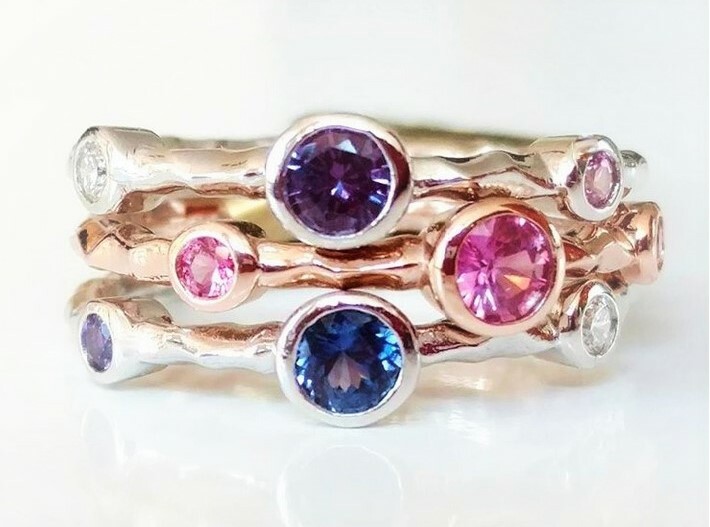 14kt gold wavy stackable bands with colored sapphires and diamonds. Please let us know the finger size. Otherwise, band will be a size 6.